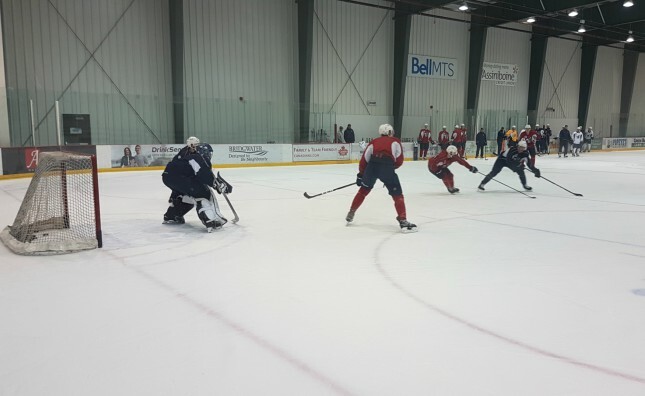 The Manitoba Moose returned to practice today at Bell MTS Iceplex after narrowly missing out on another series sweep at Bell MTS Place. The Winnipeg Jets’ American Hockey League affiliate fell 6-5 in a shootout against the Laval Rocket Saturday night to settle for three points from their two games with the Montreal Canadiens’ prospects. Marko Dano’s late third period tally tied the game 5-5, but the Rocket notched the only goal of the shootout to take the extra point. Special teams were a major part of the story with the Moose outscored 4-2 in that department, including a short-handed goal against. Manitoba took two from Colorado in its previous home series and topped Laval Thursday to make it three straight wins at home before Saturday’s contest. Sunday’s skate was an efficient, high-energy 30 minutes as the team switched gears from facing Laval to readying for Central Division rivals, the Milwaukee Admirals. Michael Spacek holds the team scoring lead, just ahead of Logan Shaw, going into Monday’s game against the Nashville Predators’ affiliate. The second-year pro had two points Saturday against Laval to improve to 24 points on the season, a total fueled by 14 points (3G, 11A) in his last 14 outings. 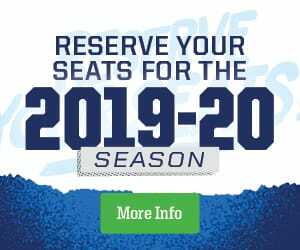 Tickets for Monday’s meeting with Milwaukee, and all Manitoba Moose games, are available at moosehockey.com/tickets.